The U.S. manufacturing industry continues to be a key part of America’s economy as it supports millions of jobs across the country. Each and every day, people head off to work in factories, sell products made by manufacturers, or develop Internet protocols that can be used to support and improve the manufacturing process. While this may sound all fine and dandy, there are many challenges that American manufacturers face in today’s economy. Unfortunately, these challenges can make succeeding in the manufacturing industry very difficult. If you’re thinking about manufacturing your industrial or consumer products in the U.S., our experts advise you to be wary. 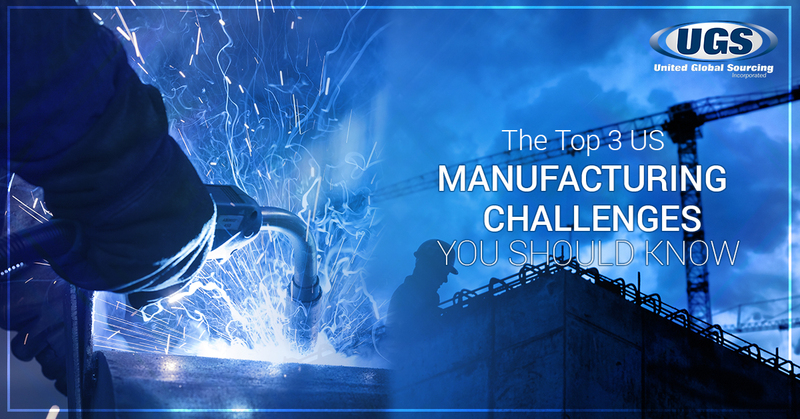 In this blog, we’ll discuss the top three manufacturing challenges in the U.S., so you can make an educated decision when it comes time to decide whether or not to outsource your product. At United Global Sourcing, we’re passionate about connecting business owners with the best Asian manufacturers available. Unlike some companies that simply connect you with a manufacturer and disappear, we put communication and quality first. By offering our clients a 24-hour communication cycle, it allows our professionals to quickly identify and address issues early on to ensure your product is delivered properly and on time. To learn more about our business or to get a free quote, contact us today! Over the past several years, U.S. manufacturers have developed a growing concern over the skills gap. As the older, more experienced baby boomer generation workers continue to leave the workforce, it’s becoming more and more difficult to recruit skilled talent among generation X and Y to replace them. In a manufacturing skills and training study conducted by Accenture in 2014, more than 75% of manufacturing respondents reported a shortage of skilled workers. This was especially true in positions that required more than a high school diploma. While most people in the manufacturing industry would like to believe that this issue will be remedied, this is likely not the case. In fact, the problem is only going to get worse. Research from the Manufacturing Institute and Deloitte predicts that there could be as many as two million unfulfilled manufacturing jobs by 2025, which is up from the initial estimates of 600,000. As you can see, manufacturers are challenged to find a solution to keep up with high demand, and many are turning to automation to do so. For decades, American manufacturers have had stiff competition from foreign companies that could produce the same products as them, but for significantly less. Since foreign manufacturers are much cheaper than domestic sources, many businesses turn to places like China for their manufacturing needs because they can reduce their cost of labor by up to 80%. This allows business owners to funnel more money into their business when it comes to marketing and developing their products. A big reason for the declining manufacturing costs in China is the fact that Chinese manufacturers have shifted their focus to the production of robots, counterbalancing the effects of rising wages. In 2014, The International Federation of Robotics found that China accounted for 25% of industrial robot sales in the world. Some countries have even gone as far as to implement incentives to attract American companies, such as minimal taxes and fewer regulations. When you work with the experts at United Global Sourcing for your industrial manufacturing and consumer product fabrication needs, we’ll do everything we can to pair you with the perfect overseas manufacturer. 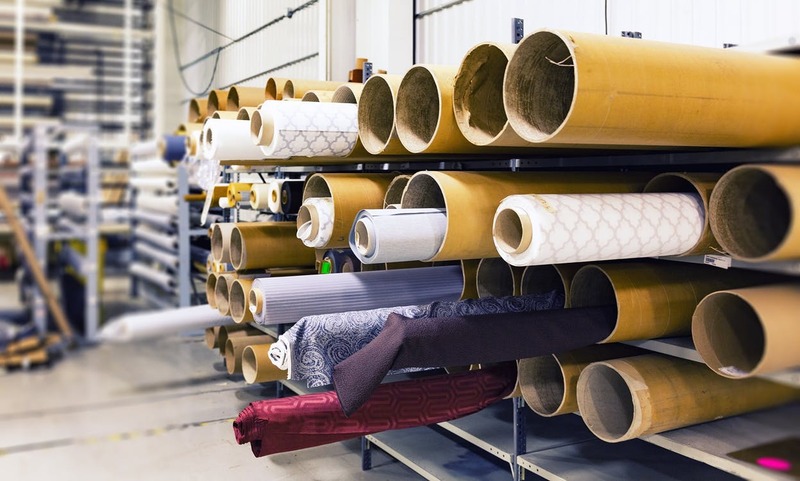 We’ve helped identify the most capable factory for virtually any part or product, and we’re dedicated to helping you streamline your product costs while maintaining product quality. One of the biggest reasons businesses turn to overseas manufacturing is because of the limited amount of factories to choose from within the United States. With so many different factories available overseas, it’s not easier than ever to find a company that specializes in the manufacturing skills you need. As you can see, the U.S. manufacturing industry is facing a variety of unprecedented challenges, which is why many companies are choosing to outsource their manufacturing needs. If you need assistance finding the best manufacturer for your product, contact United Global Sourcing today!